Home / Knife News / Awesome article! I came across an awesome article. Had to share it. Don’t forget this Friday #capecodbeerfarmersmarket come see us! Next post: New Stuff at #capecodbeerfarmersmarket today. I saw your knives at Cape Cod brewery and wanted to purchase a chefs knife. How can I purchase? You can currently stop on by our shop and look at what we have available. 31 Timber Lane Marstons Mills Give a call first 508-560-1114 to make sure we are around. We have a couple available now and pictures will probably be up tonight. Thanks Fred. I live in Boston but have a home on the cape although I am not there during the week. Ill check the site and/ call when I am down. This will be a Christmas gift so I have a little time. Wow. looking good . can you give me the prices of these. 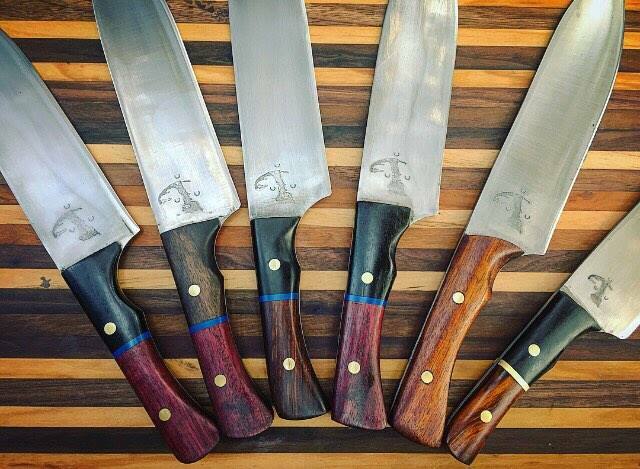 Chef knives are around 100-200 range based a lot on handle material and complexity. Hey are you around today(sat)? Are you around this weekend including Friday?